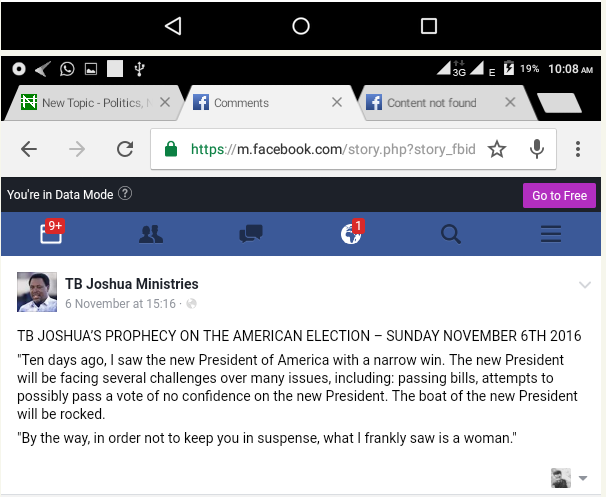 A couple of hours after the Nigeria’s social media community went agog over the prophecy by founder of the Synagogue Church of All Nations, Prophet TB Joshua on the just concluded US presidential election, the post on his Facebook has been deleted. 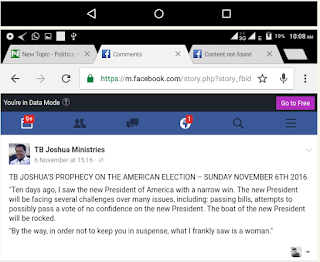 Nigerians had dragged him in the mud after his prophecy went ‘sour’ as Trump won the US presidential election early yesterday morning in an incredible victory that shocked pundits and observers all around the world. 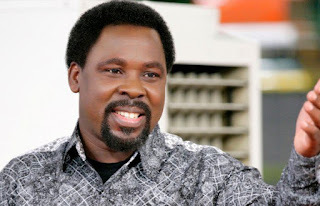 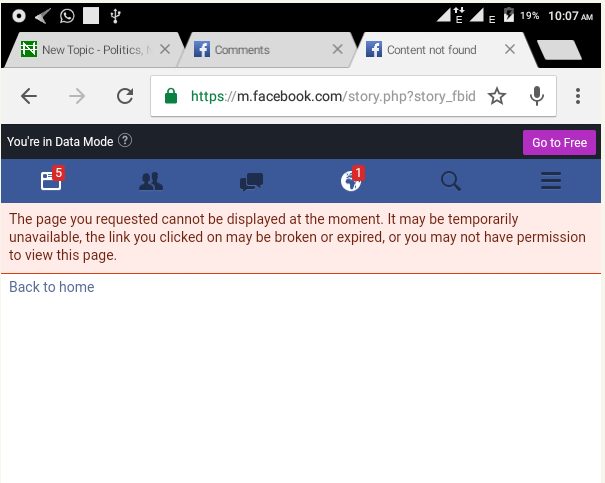 Check reveals that the post wherein TB Joshua claimed to ‘have seen’ the winner of the US Presidential election has been taken down. 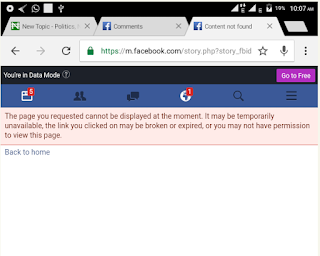 The post was last seen at about 12 noon on Wednesday.